My mother in law is turning 50 next month and she already wears eyeglasses. 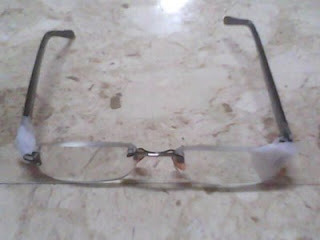 The thing is, since she takes care of the kids most of the time as my husband and I work, her eyeglasses are often broken whenever she and the kids are playing around or when my toddler suddenly grabs them and tosses them away. See the sides? 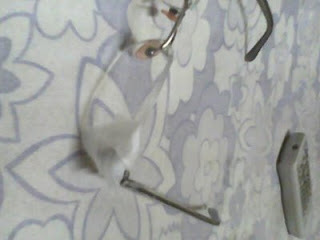 This is actually her reading glasses and well as you can see, they're pretty much broken. Although she's gotten a new one made, she hasn't thrown these away. 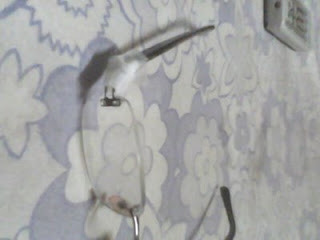 My toddler actually grabbed my mother in law's eyeglasses and them threw them to the floor and it broke that easily. Then I came across ZenniOptical.com and I wish I had found about them before we had her second pair made. Prescription glasses start at $8 with a huge selection of frames, potochromic lens, and even progressive lens. I also found out that ZenniOptical actually manufactures their own frames and directly sells it to customers online, with no middlemen and virtually no advertising budget, that's why their eyeglasses are so cheap. But don't get me wrong. Not because the glasses are cheap means they're also poor of quality. In fact, ZenniOptical was even featured in the Chicago Tribune. You can read about the article by clicking here. So there, just in case the new eyeglasses my mother in law has now gets broken, I know where to buy next time, for a great deal, too! Yikes, I lost my files! No More Entrecard For Me!